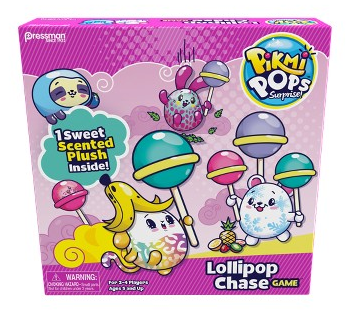 Target has the Pikmi Pops Lollipop Chase Game at Target on sale for just $7.49 (regularly $14.99). Plus shipping is free! Help the Pikmi Pops fill their Pikmi trees with lots of lollipops! To earn a lollipop, you may need to dance, sing, or even tell a story. Some special places on the board will unlock surprises! Be the first player to collect four different lollipops to fill your Pikmi tree to win!